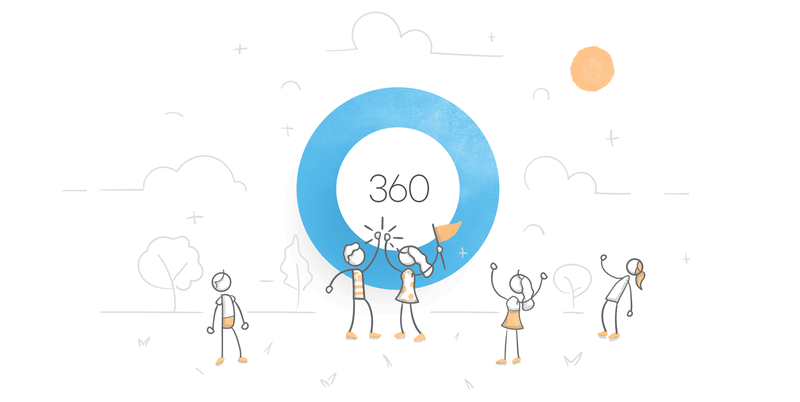 We’re so excited to announce Articulate 360, our new offering that simplifies every aspect of e-learning development. Articulate 360 is an annual subscription that includes everything you need for course development. You’ll get continually updated versions of the tools you know and love, Storyline and Studio: Storyline 360 and Studio 360. Both apps feature our new responsive player that makes it effortless to create e-learning for every device. You’ll also get a brand-new, inherently responsive authoring tool called Rise. One of the coolest things about Articulate 360 is that you’ll always have the latest version of all Articulate authoring apps, with one simple subscription. We think you’re going to love it! Ready to dive in? Get a free, 60-day trial right now. Congratulations, Articulate! 360 looks amazing!! Looks nice, but I hate the subscription part! Rockstars!!! All of you! Such a brilliant move to make the whole suite available. We'll never have to compromise again. We can choose the best authoring tool to meet our projects needs! Nobody wants a subscription model. Correction: no users want a subscription model. Software companies want a subscription model. Seriously - I was expecting a new tool that addressed Storyline's weaknesses and worked more robustly with HTML5 and xAPI. Very disappointed. I agree with you. Purchasing multiple products at an extremely high subscription price is not ideal. I am not actually against the subscription model as far as it is expensive. Even Office 365 has a subscription price of about $7.99 monthly. I tend to agree with you. I love the subscription because not everyone can afford an outright price for these items. Looks like I guessed correctly. You've taken to subscription, and the cloud! Great new tools, industry leading HTML5 output, give an entire toolbox of solutions! Congratulations! Very disappointed in the pricing for this. I agree with Anneke Garcia. The cost is astronomical in comparison to current price. It will work well for large companies that have small elearning departments with in them, and need a lot of hand holding, but for companies that use Articulate to make elearning for clients, this pricing makes no sense. Quick question - does the new 360 program output real HTML screens or is it still just publishing .swf files? I don't know if I missed it - do they have 508 compliance now for HTML5 in Articulate 360? Hi Rio! Yes- Courses you create with Storyline 360 and Studio 360 are compliant with Section 508 accessibility guidelines. Check out this documentation on our accessibility support: https://www.articulate.com/support/article/Articulate-360-FAQs-Accessibility Let us know if you have any other questions! I have not reviewed the product, but I am sad to say that the whole subscription model is going to make this product one that academic institutions will not use. I think you can always still buy the products Studio and Storyline as always. What would happen to the courses I have designed with Storyline 2 or Studio'13? Would they work with 360 or do I need to keep the older versions to make any changes to those courses? You did an amazing job with responsiveness! However, as Claudia H pointed out, subscription model doesn't work for academic institutions or SMEs that develop eLearning for other clients. Also, I'm quite surprised with the course layout - it looks like a website. Now, I wasn't a big fan of slides either, but most of our clients don't want elearning that looks like a modern website. They don't even want to scroll through the content. You did a great job by making this, I know it's a lot of work and dedication, but I'm not sure if this can be our complete solution, as we were hoping it would be. I am not positive we will be able to continue with Storyline if the only way to benefit from improvements is through a subscription. I hate to move everything to Captivate, but I am assuming I will have to give the heads up higher up. Hello Rachel, Storyline 360 should be included in your free trial. If you are not seeing Storyline 360 in the Desktop section of the Articulate 360 desktop app, please submit a support case to www.articulatecase.com. Hi there, Jean-David! No dumb questions here...we're all about sharing the info-love. We will happily continue to support Storyline 2, and we continue to evaluate bug fixes and improvements for all of our supported products. Here's a look at our Support Policy: https://www.articulate.com/support/policy HTML5 continues to be an area of focus for us, as well, so thanks for taking the time to reach out and let us know what's important! Hi Crystal, thank you for sharing the "info-love" :-) I will have a closer look at the info on the new Articulate 360 range of products. Interesting new products! Where is the information about the cost of the subscription? I'm with the users that dislike subscription models. It was a problem with other products for us in the past. I'm in state government, and will run into major roadblocks with products that are subscription based. I also wonder if there will be any upgrades to SL2. We purchased the top end PMP specifically to help future proof our product. Hi Jeanne, On your iPad, install Preso directly from the App Store here: http://appstore.com/preso There's also a button in the Articulate 360 desktop app on your computer to get the Preso app for your iPad. Your link takes me to a page that says, "the item you are looking for cannot be found." Can your team upgrade to Microsoft Edge? The new Microsoft browser. I don't think developers are coding for IE any more, it interprets everything differently to every other browser and creates so much more development work. Edge is a much better alternative. No, we have some programs we use company wide that ONLY work on Internet Explorer. The program provider said they'd upgrade to other browsers...2 years ago? It is pretty frustrating. Either way, it still seems bizarre that the vertical scroll bar completely disappears in Internet Explorer. Other programs not working in Internet Explorer I am, sadly, used to. Hi Rachel, Sorry you are having issues with your trial. I'm not sure exactly what you are referring to with Characters or Templates in Rise. Please detail your issue in a support case at www.articulatecase.com and we'll figure this out for you. Regarding your other issue of editing content, if the course is your's you will always be able to edit content. Sharing the course via the Share button will provide your learners with a uneditable version similar to what you would see if you Preview the course. Hi, Bret, I didn't explain myself too well up there. When I opened the Content Library in Internet Explorer 11, I was unable to scroll down and see the full contents of the library. The vertical scroll bar on the screen disappeared. I put in a case to Articulate support to see what's going on. I’m not surprised by this move to subscription. They will loose a lot of future customers as people on existing products looks to move to a company that may listen to people and go with standard licensing instead of jumping on the bandwagon with all the other companies going to subscriptions. But in the end they will increase their revenue at the short term expense of losing some customers and hurting the most dedicated eLearning community that I know of. Also the price is crazy compared to the other products. 1200 for software that you use for 3 years until you upgrade to the new version vs 999 a year. And the benefits that you get with the team solution is in no way worth the extra price person, but than again people will still sign up for it. So it’s a win for the company and a lose for the consumer. I agree with you George. Our institution cannot add $999 or half of that to "operating costs?" Though the move to subscription based makes sense to me. Their revenue will go up by focusing on their big customers. So, it's time to look for the alternative for small organizations and part-time free lancers. Yeah, as a freelancer, $1k a year is not feasible. Bummer, because I really like the product. The pricing seems inordinately high, given that it's a third more expensive than the entire Adobe CC suite. For that kind of investment I would be wanting a product with more features and resources than the current offering. Unfortunately, I think I'll pass. Disappointed in many ways. Still no Mac OS version of Storyline, it's literally the sole program we have to run Windows for at this point. The subscription is annual-only, which simply does not work well at all for a company like mine that frequently scales development teams up and down on a short-term, temporary, per-project basis. It will not be feasible to add extra temporary seats as needed when the only option is paying annually for seats that I may only need for a month or two. Finally, as the owner of an e-learning design and development company that provides professional graphic design services to our clients as one of our core services, the whole "content library" is a turn-off. I would have been far more impressed if Articulate would have instead created opportunities for its community of Articulate-savvy vendors that offer professional graphic design services to be matched up with those users in the community that need such services. I agree. We're in the same situation. Looks like Articulate hit the ball out the park on this one! Love Rise. So much easier than Captivate's ridiculous way to create responsive HTML5 output using three different modes.